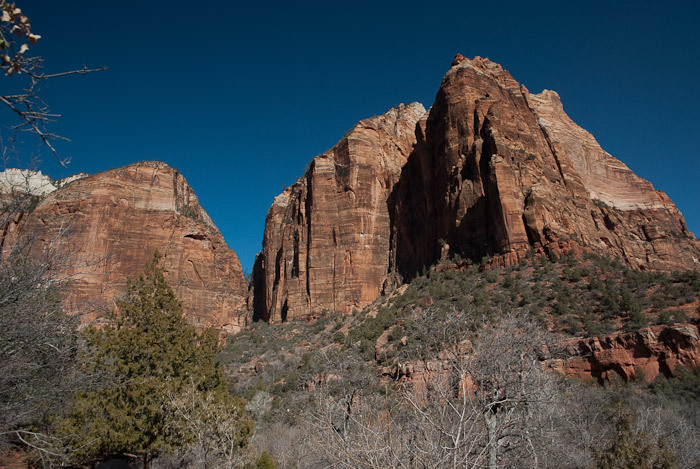 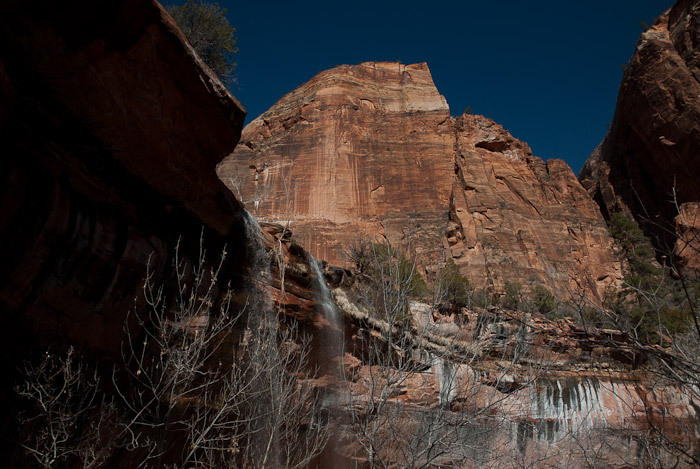 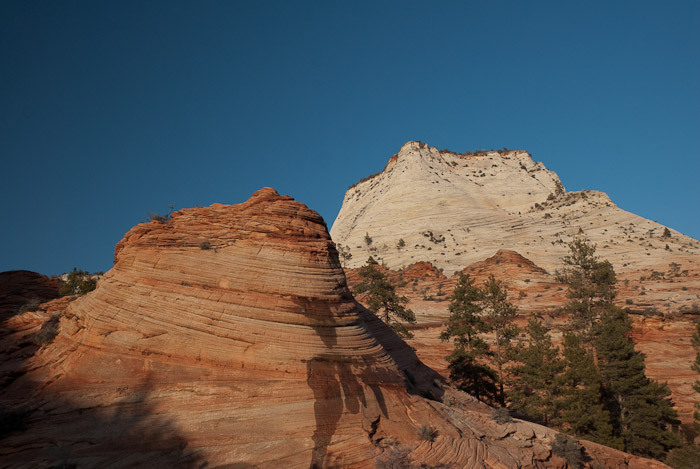 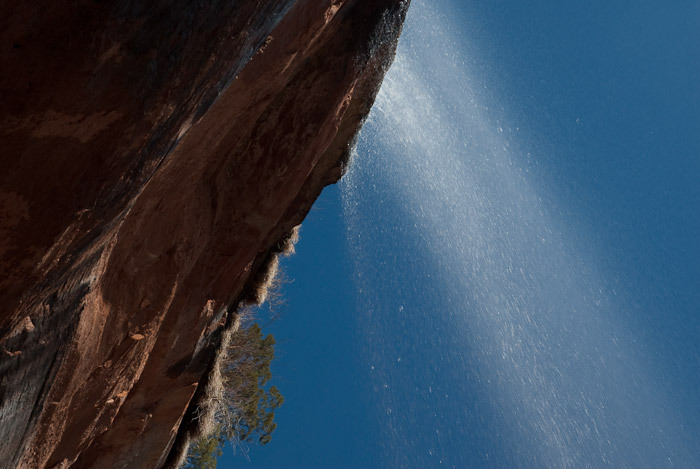 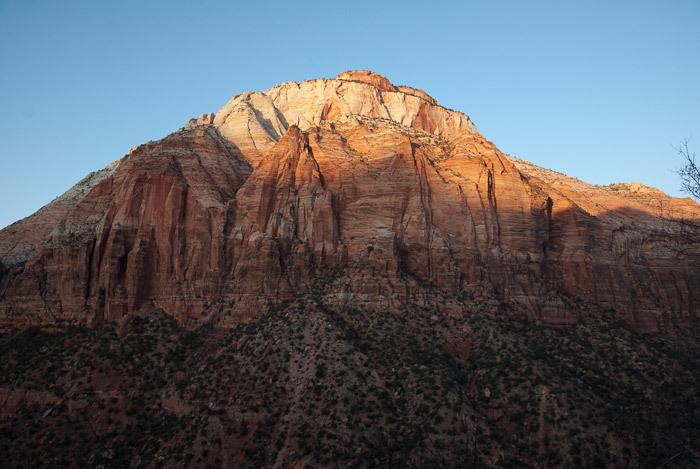 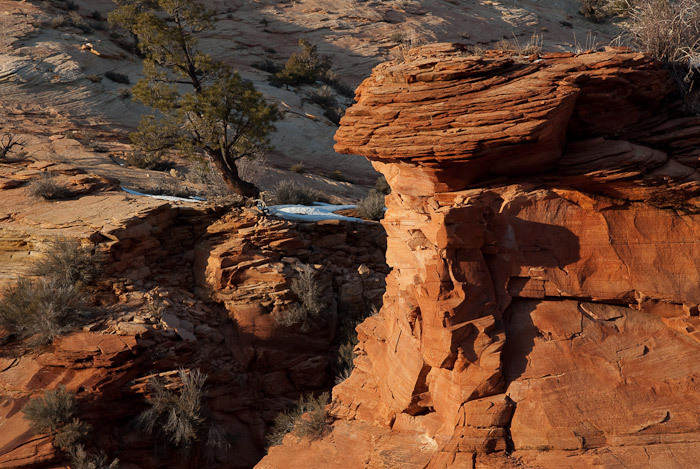 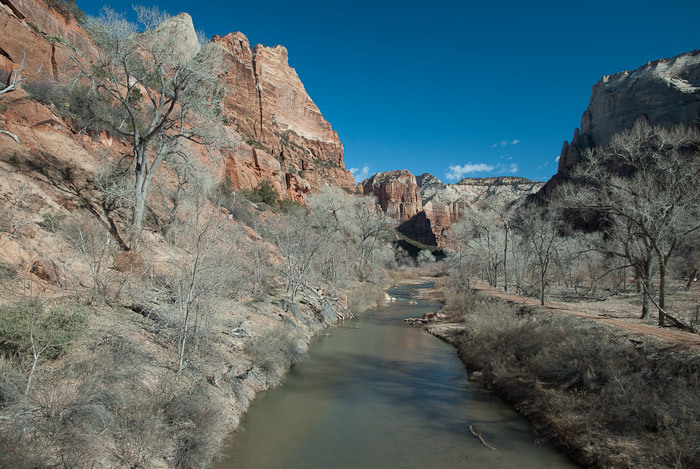 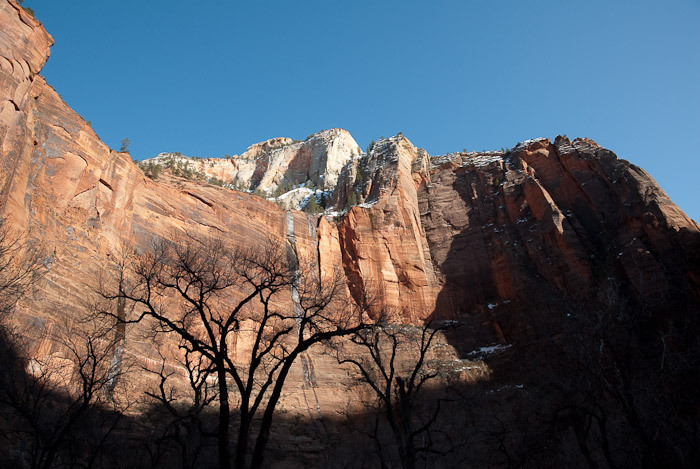 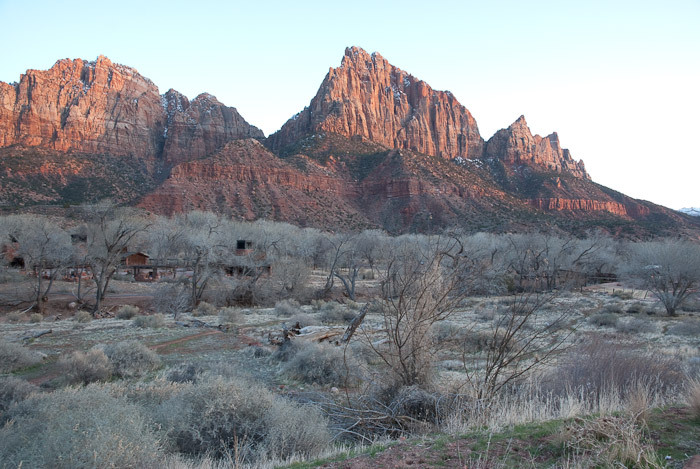 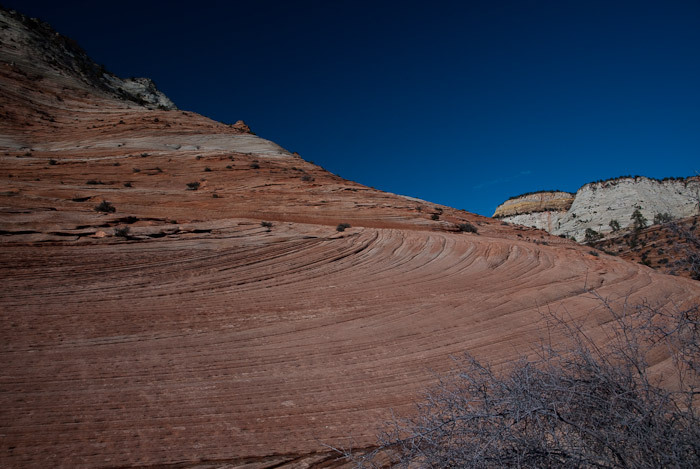 With its soaring rock formations, Zion is an impressive sight to behold. 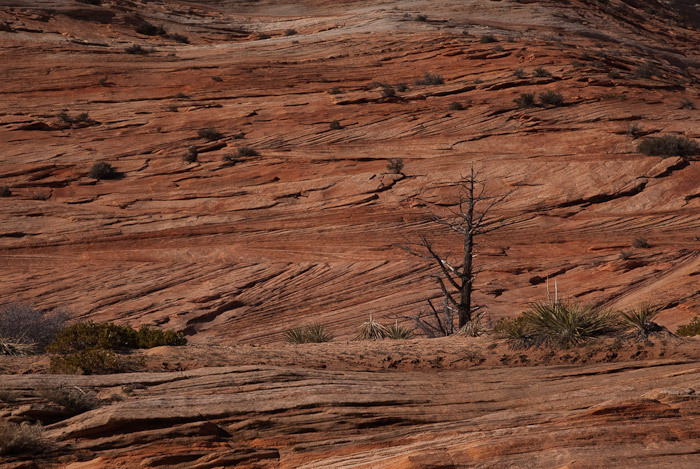 I struggled with the lighting while photographing. 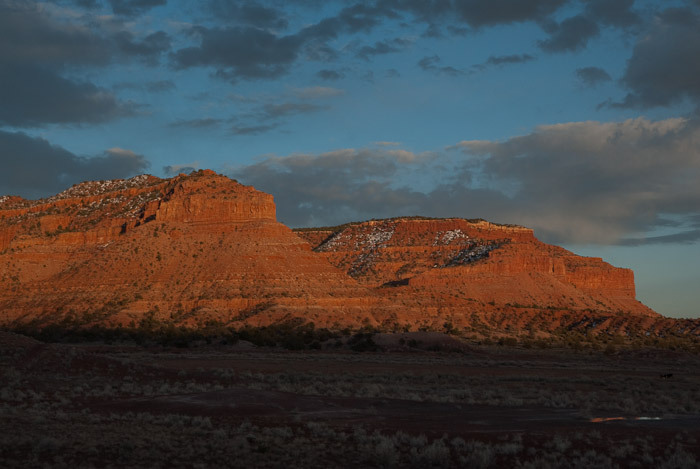 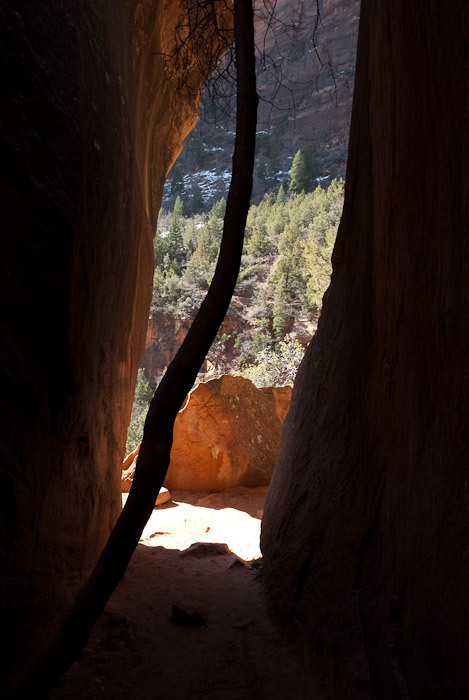 The canyon is narrow and the sunlight only illuminates any given section for a small part of the day. 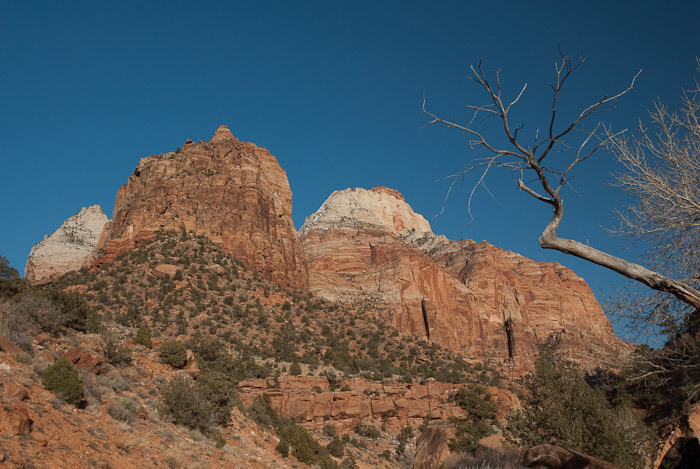 Zion is known to be photographers paradise but its challenging conditions also test ones skills.